"He takes his time, is thorough, listens, and proceeds cautiously. " "He goes extra miles to understand his clients and recommend suitable treatments." "Dr. Rauch helped my child when no one else seemed to understand." 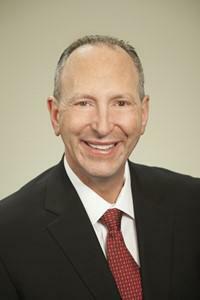 "Dr Rauch listens carefully to what is being said and is very thorough in his research..."
Harry Ben Rauch, MD, is a double board-certified physician, specializing in psychiatry diagnostics and treatment for children, adolescents, and young adults at his practice in Irvine, California. Dr. Rauch has a passion for evaluating patient symptoms and is devoted to creating customized treatment plans that address the individual needs of each patient. He believes in the value of a compassionate, family-centered approach and ensures the highest caliber of care for conditions like ADHD, autism, bipolar disorder, and depression. In addition to his psychiatric expertise, Dr. Rauch is also a registered pharmacist. A native of Tulsa, Oklahoma, Dr. Rauch has spent much of his career working as a military psychiatrist all over the world, serving the needs of soldiers and their children. He worked in a variety of settings, including hospitals, schools, and clinics. He also served as a professor to medical students. He eventually settled in Orange County where he focuses on the care of children, adolescents, and young adults. Dr. Rauch maintains an active medical license in California, Texas, North Dakota, and Colorado. Dr. Rauch earned his medical degree at the University of Oklahoma Medical School in Oklahoma City. He completed his psychiatry internship and residency at Lackland Air Force Base in San Antonio and received additional training at the University of California and the Langley Porter Hospital, both in San Francisco. Dr. Rauch is a member of AACAP. When not caring for his patients, Dr. Rauch loves good movies and reading. He is also an avid bicyclist. Married with three daughters, Dr. Rauch also enjoys pampering his pets, two Siberian forest cats, Charlie and Cha-Cha. "I'm happy to see that my son is doing much better now after a few months visiting Dr. Rauch and receiving the correct treatment." "His staff was easy to talk to and the doctor was very professional yet able to communicate well with our troubled teenager." "Then a few weeks later my son had an unusual anxiety attack, I called his office, we were seen on that day and I was even more impressed."